(Bloomberg) – Alfred Moyo sees two possible ways of moving stock from his hardware store in Mabvuku township on the eastern outskirts of Harare, Zimbabwe’s capital: selling it at a loss or giving it away. Moyo is one of thousands of Zimbabwean business owners who are caught up in a spiral of stagnating growth, rising unemployment and now, worsening deflation. Consumer prices have fallen every month since March 2014, dropping 2.8 percent in July from a year ago. That’s a far cry from the days when prices rose an average of 500 billion percent at their peak in 2008, according to estimates from the International Monetary Fund. Zimbabwe’s decision to scrap the local currency in 2009 helped end hyperinflation as it cut off the government’s ability to print money to pay debts. At the same time, it eroded manufacturers’ competitiveness by making it cheaper to import everything from food to clothing rather than produce them in a country suffering from a lack of cash, power shortages and high costs. With Zimbabwe adopting the U.S. dollar and currencies such as the South African rand as legal tender, authorities have no ability to boost money supply in the economy. Hundreds of abandoned buildings, workshops and factories line the potholed roads in Harare’s industrial areas, evidence of Zimbabwe’s economic slide. The situation is even worse in Bulawayo, the second-largest city, where production has been hobbled by water shortages. More than 80 businesses shut across the country last year and just 39 percent of the country’s manufacturing capacity is being used, according to Busisa Moyo, president of the Confederation of Zimbabwe Industries. The economy’s nascent recovery that followed a 2009 power-sharing government between President Robert Mugabe’s party and the main opposition has largely been eroded. Investors have been loathe to enter Zimbabwe since Mugabe, 91, won the 2013 election, pushing ahead with plans to force foreign-owned businesses to cede majority stakes to black Zimbabweans. 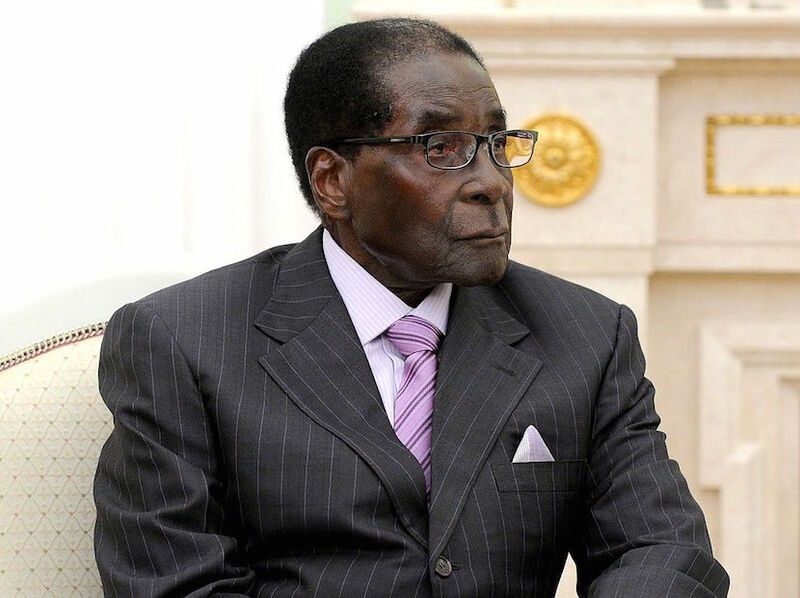 Mugabe has been in power since 1980. The economy, which grew on average 9.2 percent a year between 2009 and 2013, probably won’t expand fast enough to meet the government’s target of 1.5 percent this year, Christian Beddies, the IMF’s resident representative in Zimbabwe, said on Aug. 26. The United Nations estimates that more than 70 percent of the population of 14 million live on less than $2 a day. Remittances from Zimbabweans living abroad reached an estimated $837 million in 2014, exceeding humanitarian assistance of $735 million, according to data from the central bank. Deflation comes with its own problems. It discourages consumers from spending as they anticipate prices will fall further, while declining margins reduces the incentive for businesses to invest and hire workers. That, in turn, limits wage increases, curbs tax receipts and worsens corporate and government debt burdens. Deflation fueled the Great Depression of the 1930s and several decades of almost no economic growth in Japan. Brewer Delta Corp Ltd., Zimbabwe’s biggest company by market value and part owned by SABMiller Plc, cut the price of bottles of clear beer by 10 percent to 90 U.S. cents in December, the second reduction in three months. Sales dropped 4.3 percent in the year through March as volumes of lager beer slumped 17 percent. Econet Wireless Zimbabwe Ltd., the country’s largest mobile-phone company, said on Aug. 21 it agreed with staff to cut their salaries by 20 percent to ward off job cuts after annual net income plunged 41 percent. 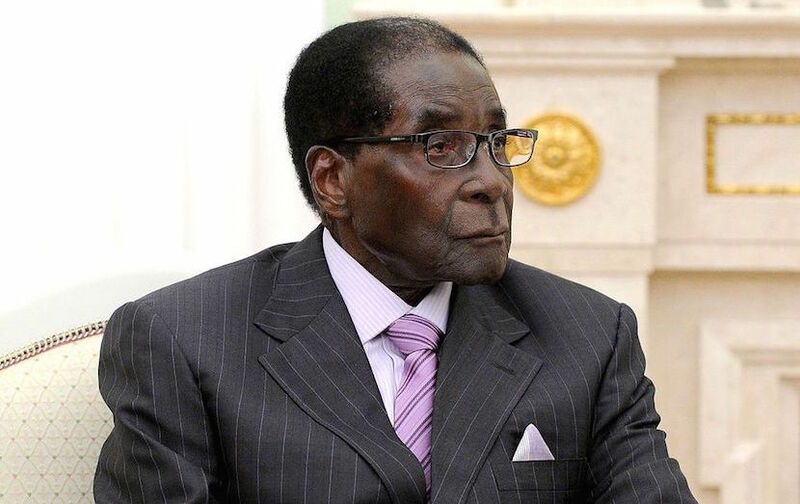 In his annual state-of-the nation address on Aug. 25., Mugabe blamed the nation’s economic woes on drought, and said the government would repeal all laws hampering businesses, while implementing plans to revive agriculture and the mining industry. Those assurances are of little comfort to Wilbert Chimedza, a manufacturer of security fences, who has resorted to only opening his workshop when he has orders to fill.